I've learned that fear limits you and your vision. It serves as blinders to what may be just a few steps down the road for you. 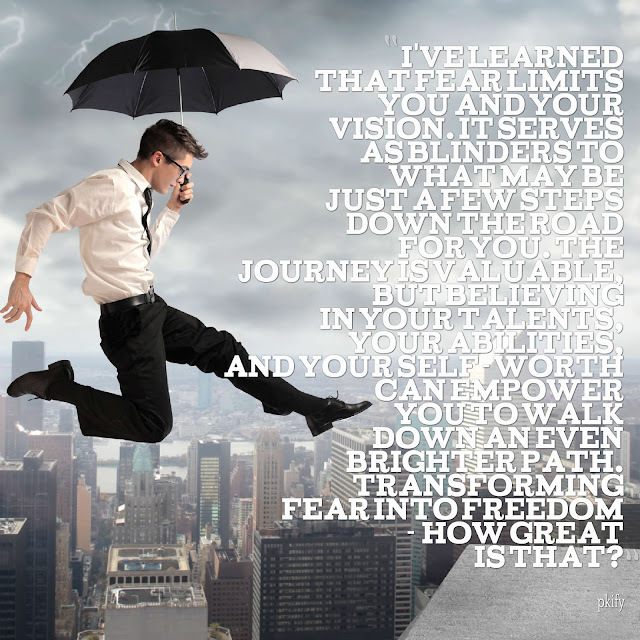 can empower you to walk down an even brighter path.